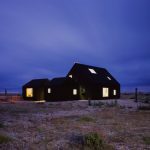 This house is the latest in a series of new homes at Dungeness. 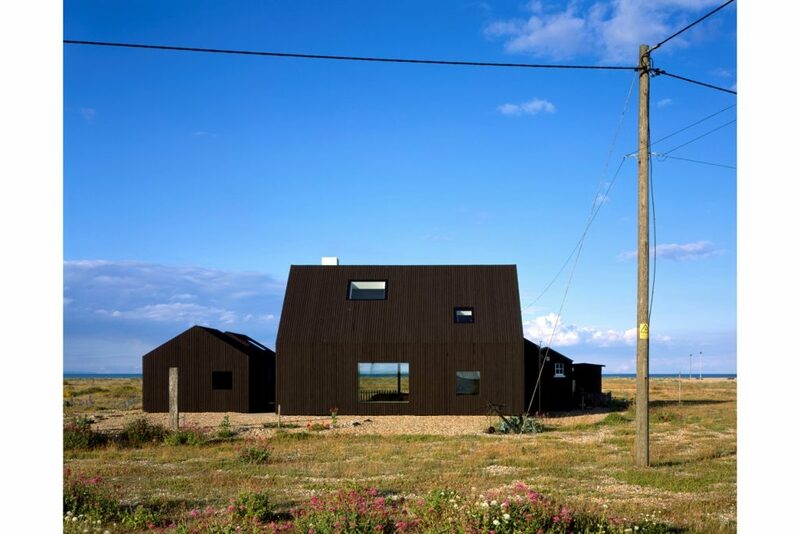 The trend for inhabiting the beach was set by Derek Jarman with his garden at Prospect Cottage, and since then architects have take inspiration from the open, often bleak, beach to design new occasional homes. 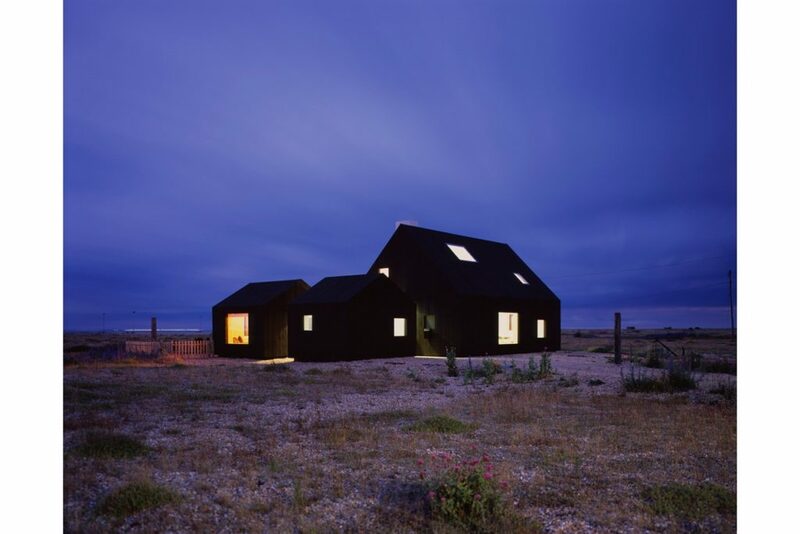 This house, by Rodic Davidson Architects, is one of the best in the collection. 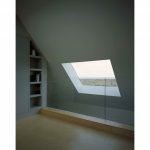 The architects had previously worked with the clients on the refurbishment of their London home. 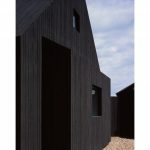 Here the brief was to create a single living environment, allowing for entertainment, enjoyment and art. 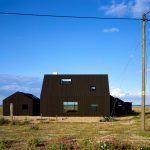 This was to be a calm and simple space where everyday activities could co-exist and all aspects of the surrounding landscape could be observed. 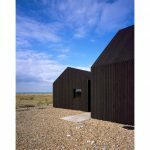 There was no question about replacing the existing fisherman’s cottage and the form was conceived as a ‘cluster’ of small shed-like structures, referential to the local vernacular of pitched roof huts scattered along the beach front. 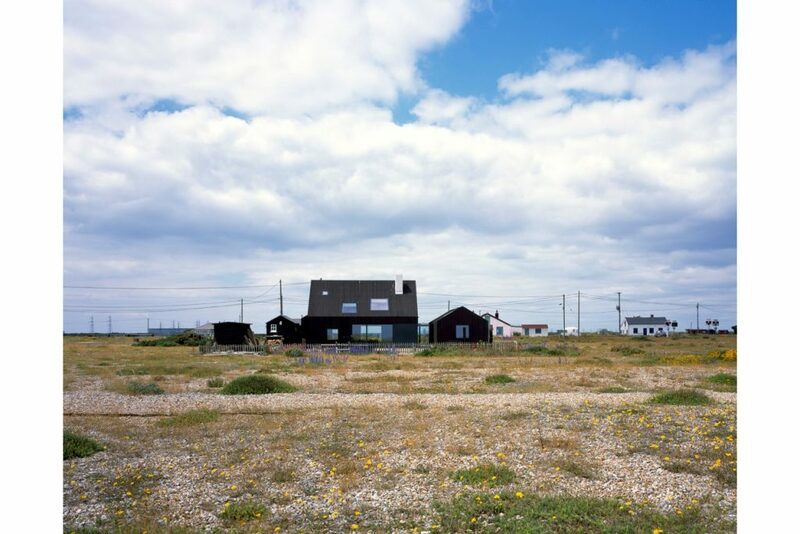 The plan form of the proposed cluster was derived from the locations of the existing cottage and sheds, minimally adjusted to provide a simple living layout whilst maintaining a low impact on the ground ecology and sustaining the sense of randomness that was found in the original buildings. 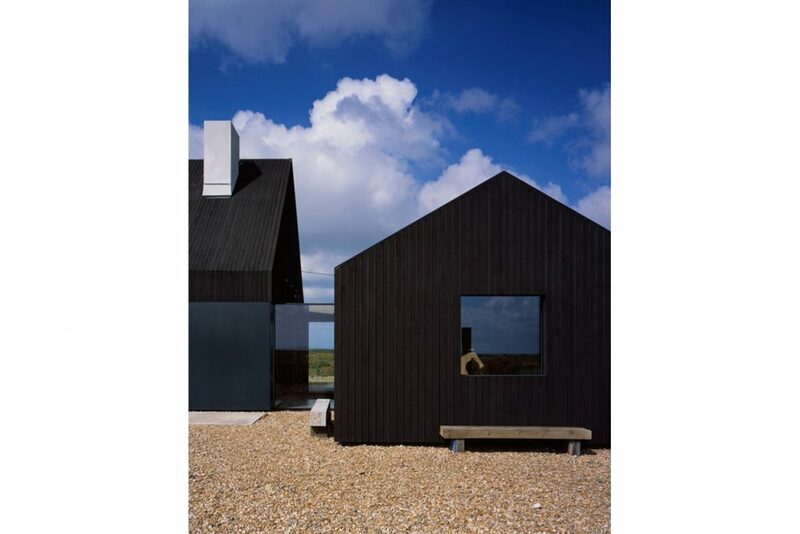 The resulting house alludes to these familiar influences and even mimics some recent nearby homes (some of which are award winners themselves), but does so in a manner which is arguably truer to the original precedent of dark stained beach hut or ‘net shop’. 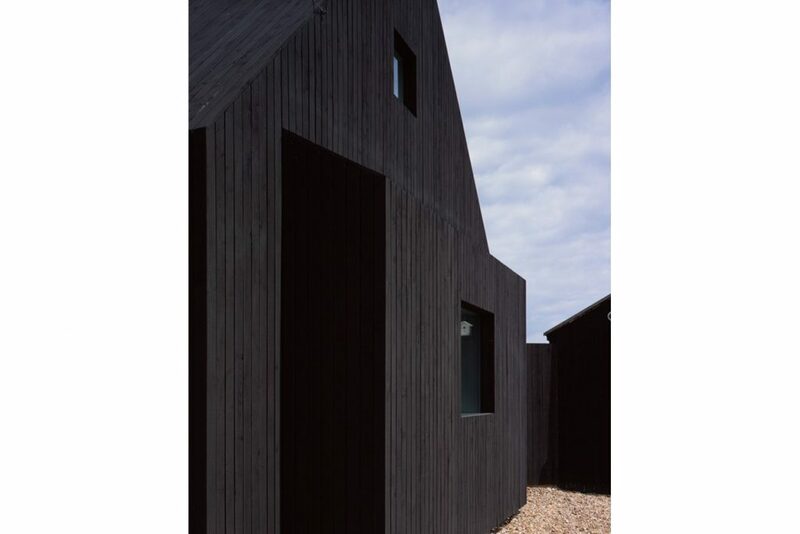 The jury was persuaded by the ambiguity of ‘one home’ versus ‘a cluster of sheds’ approach, and won over by the intimate relationship between designers and client which has resulted in a finely-judged balance of high architecture and comfortable beach living. 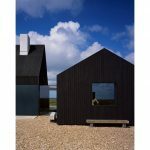 Despite the temptation to celebrate the panorama of the vast beach and seascape, views are framed judiciously like pictures at seating- and standing-height, providing a sequence of selected connections to the outside. 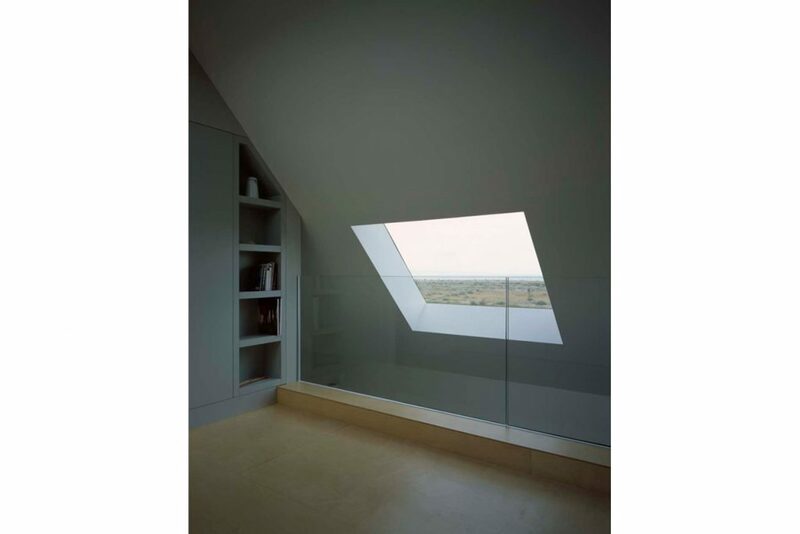 Only in the circulation spaces between the ‘sheds’ is that connection seamless, with frameless glass taking one within millimetres’ distance of the frequently harsh external elements. 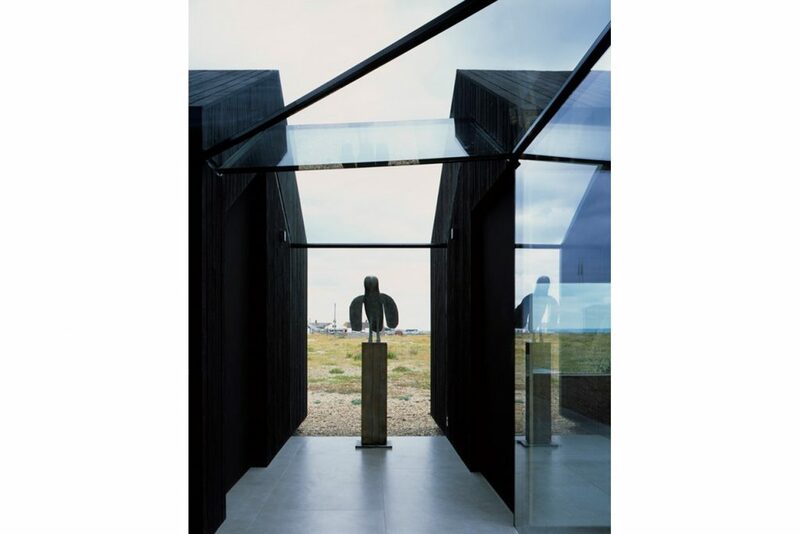 As the architects suggest, ‘walking in and out of the rooms feels like walking in and out of the landscape’. 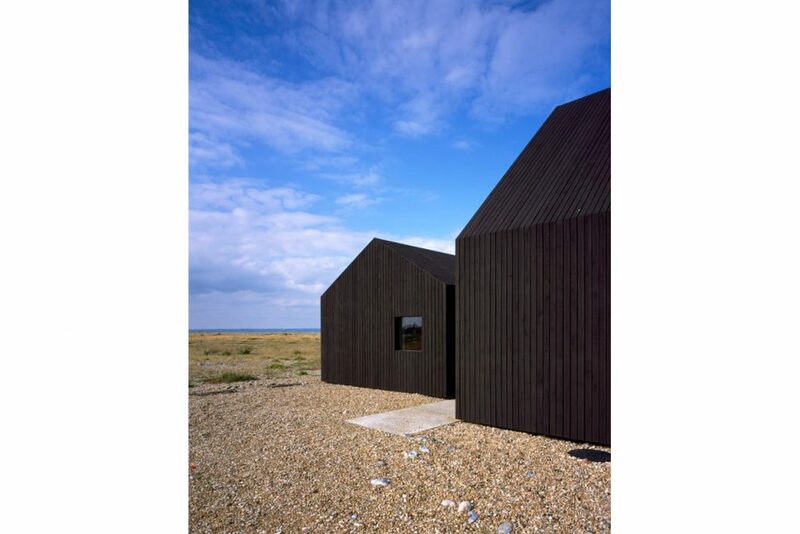 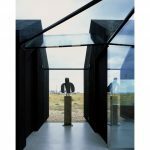 Each Dungeness black box has to be measured on its own merits, but this particular synthesis of client aspiration, site character, and thoughtful detailing left this year’s jury feeling very comfortable with its decision.